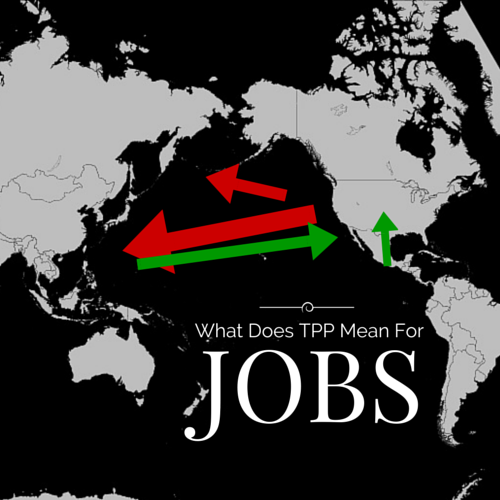 What Does the Trans-Pacific Partnership Mean for Jobs? | Page 6 | Challenger, Gray & Christmas, Inc.
What Does the Trans-Pacific Partnership Mean for Jobs? Senator Elizabeth Warren (D-Mass.) continues to press President Obama this week over terms of the Trans-Pacific Partnership trade agreement, which the president is trying to fast track through Congress. Warren’s concerns include potential stipulations that may make it easier for multinational corporations to move jobs overseas, thus negatively impacting the US economy and wages, while also weakening labor and environmental regulations. Warren’s biggest concern is over the secrecy of the negotiations, which she argues is inhibiting the ability of Congress to review and amend provisions which could hurt American workers. The Administration says the agreement reflects the global nature of business and the terms must be confidential due to ongoing negotiations. In 2004, Forrester Research estimated 3.4 million service jobs could move offshore by the end of this year. Unfortunately, there does not seem to be a reliable way to measure the exact impact on American jobs over the last decade, particularly now as domestic job creation continues to improve. While offshoring is likely to continue with or without the Trans-Pacific Partnership, there is some evidence that US employers are starting to move some of those offshore jobs back to America. Last month, Chicago-based Ferrara Candy announced that it will move some of its production from Mexico to Chicago. Furthermore, a growing number of foreign firms are investing in US-based manufacturing facilities. In 2014, Foxconn Technology Corp., which famously (or infamously) churns out many of the most popular digital gadgets, including those sold by Apple, announced that it is opening a $30 million facility in Harrisburg, PA.